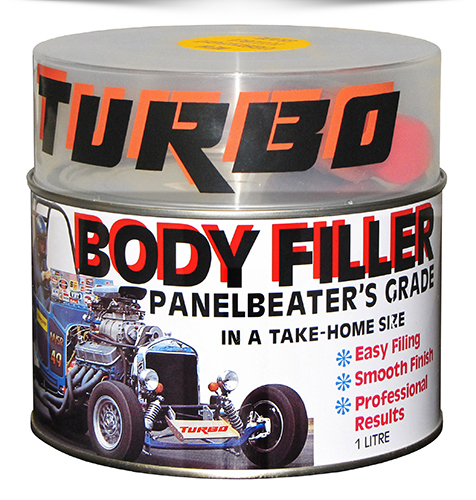 Turbo Body Filler - Panelbeater's Grade! 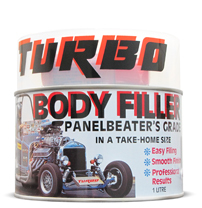 TURBO BODY FILLER is specially made for the Tradesmen and DIY user. The DIY products are easier but somewhat slower to use than the Tradesman products, by virtue of longer working times (giving more time to manipulate the final shape) and a more thixotropic product. 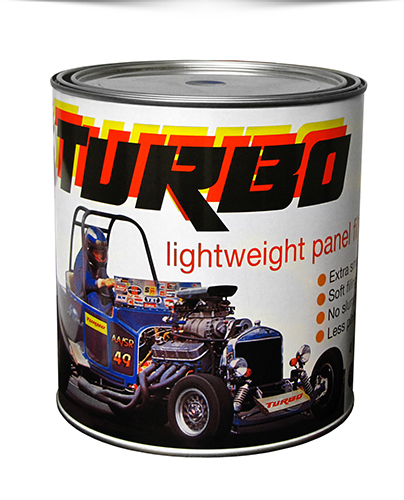 TURBO BODY FILLER is different from conventional polyester fillers. 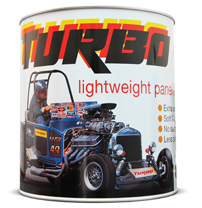 Its low viscosity when being spread minimises pinholes – but it will never run or sag, even in very thick layers, due to the clever combination of special new ingredients. 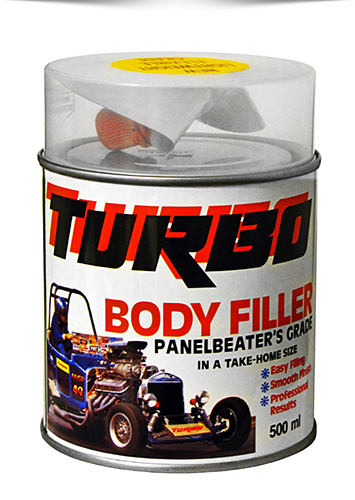 TURBO BODY FILLER is incredibly easy to file, even after 24 hours, but will not clog abrasive paper, sanding is super-fast too. 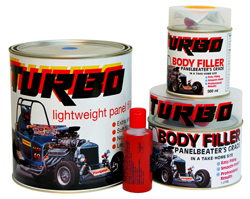 TURBO BODY FILLER, when cured, is water-proof, super flexible, non corrosive, solvent resistant, and non staining on light colours. 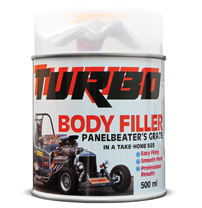 Turbo Body Filler is the perfect all-rounder for Tradesmen and DIY use.